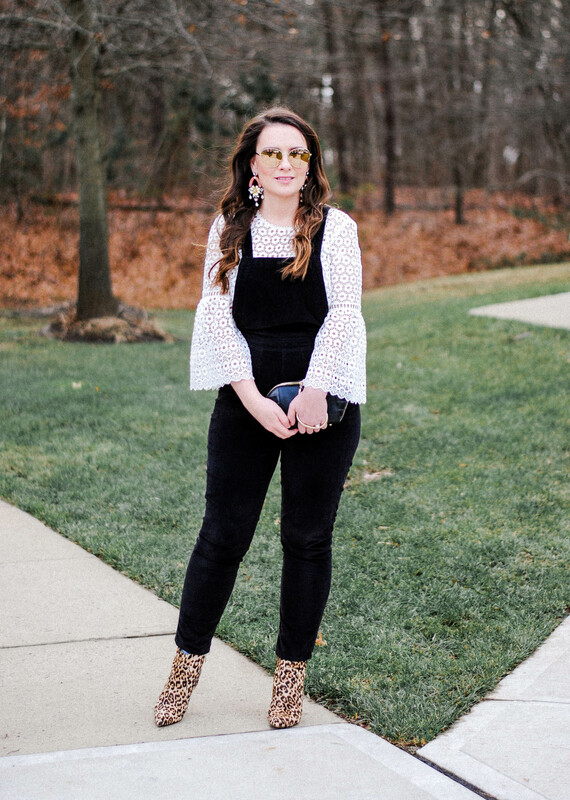 The deets: Madewell velvet overalls (also here, similar under $75); Sam Edelman leopard booties (similar under $70); Chanel sunnies (similar under $20); J.Crew earrings (super old); J.Crew lace top (also cute); Alexander Wang clutch (cute under $100). 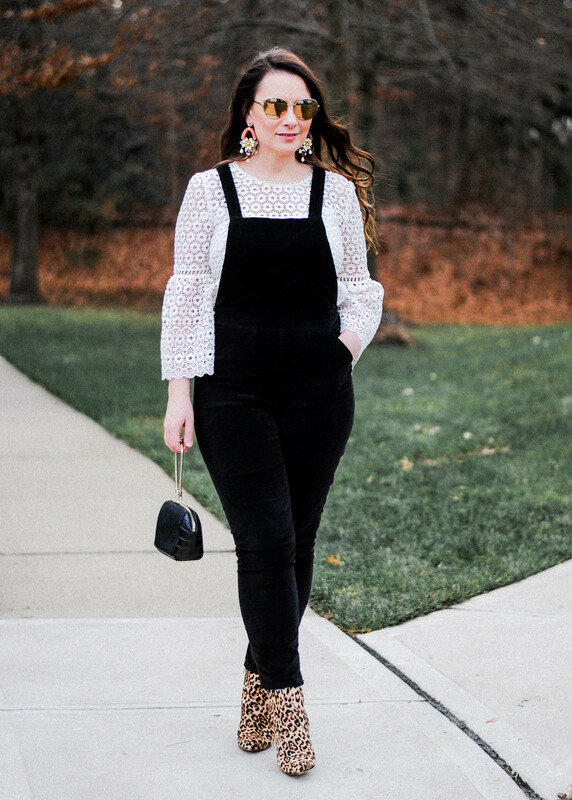 Okay confession time - I wore this outfit and took these photos on..Christmas Eve. Yes, that's right. 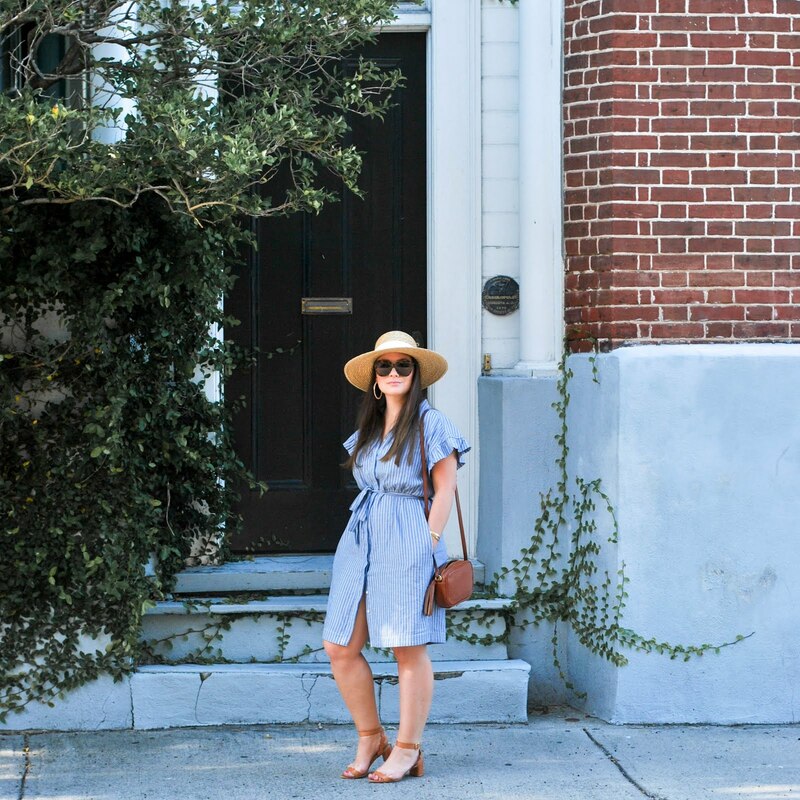 I am the laziest blogger there ever was. 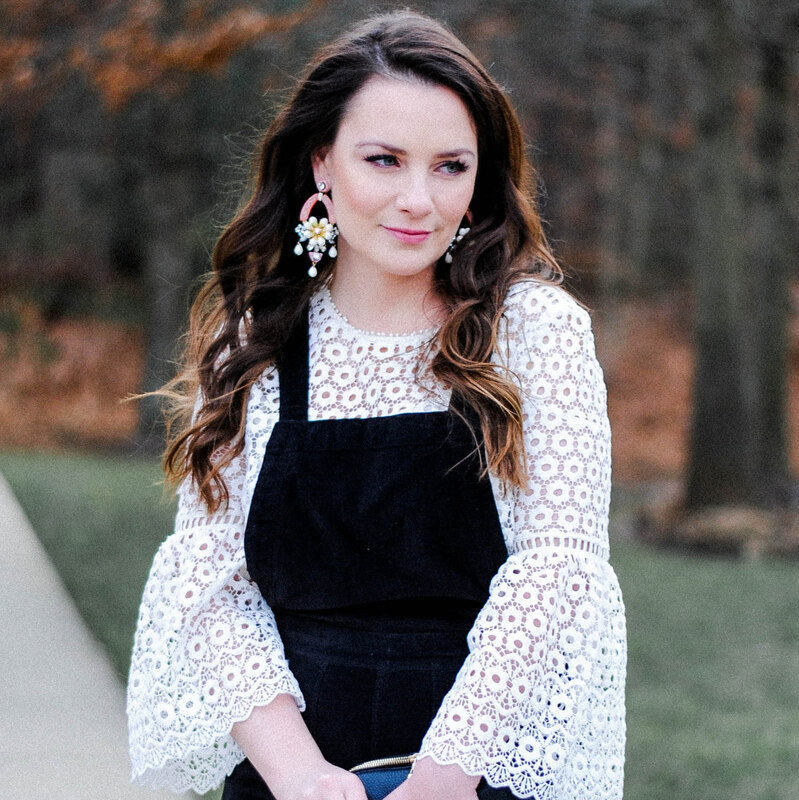 I have been sitting on these photos for a full 30 days, a whole different year, a different time, a simpler time (jk), but better late than never because despite my lack of motivation to post them on the blog I do LOVE these overalls and have lots of enthusiasm for them. 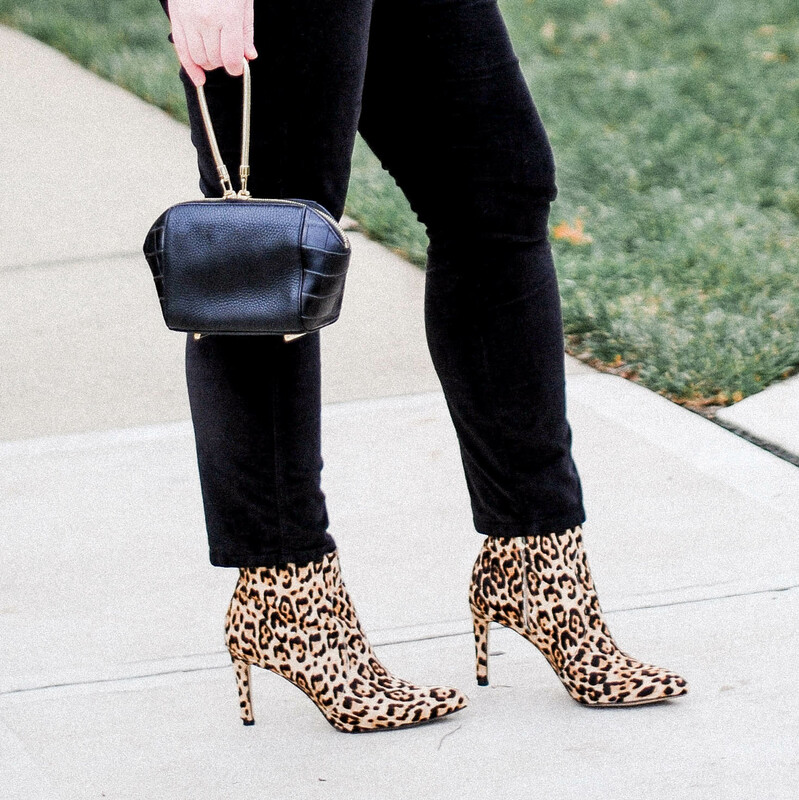 They are the perfect casual comfortable item that has been chic-ed up with the velvet so you can get away with wearing them casually OR, you know, Christmas Eve dinner with the fam. 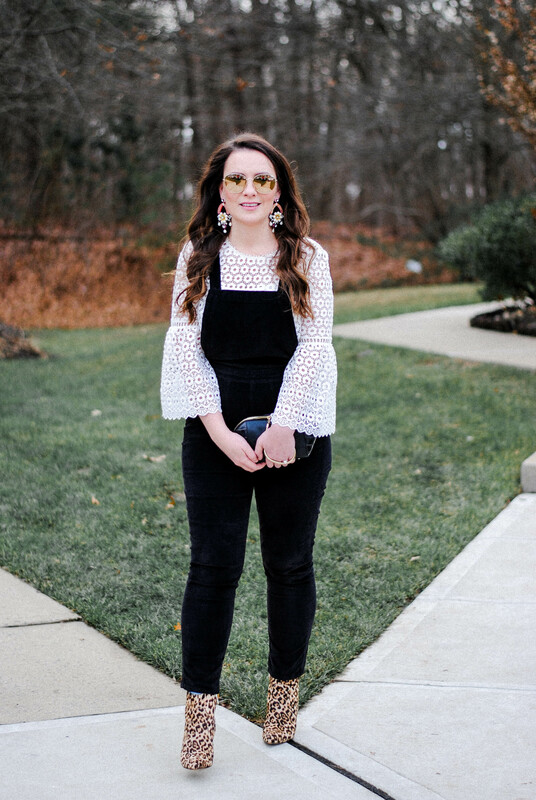 I hope overalls never goes out of style because they are my favorite!